After the tour at Manchester United’s Old Trafford, it was time for lunch! I don’t know whether it’s official or not, but apparently the dim sum here in Manchester is quite famous. And it’s located at its China Town. Manhester’s China Town is located in the middle of the city. It’s a walking distance from any parts of the city. The interesting about the place is that once you stepped into the area, it looks more like “Shangchester” than the UK-ish Manchester. All you see is mostly Chinese people and decorations. 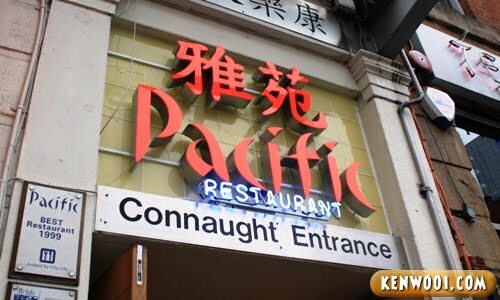 Anyway, off to the famous dim sum restaurant. The first thing I noticed was it wasn’t crowded at all, unlike Ipoh’s famous Foh San. The restaurant was really quiet and high-class. At the table, the waiter presented the menu. Unfortunately I can’t read a single thing because I’m a “banana“. I wonder how the local Englishmen here make their order. 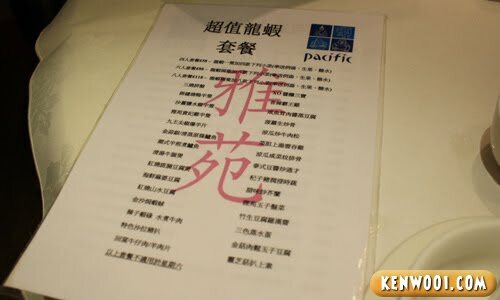 Perhaps they have English menus as well, but since a group of Chinese comes in – they give Chinese menu. Stereotypes! Anyway, here’s what my friends and I ordered for lunch! Char siew pao – Barbecued pork buns. Hou dai ge har gao – Really huge prawn dumplings. Fried meat wantons. Yeah, looks different over here in UK huh? 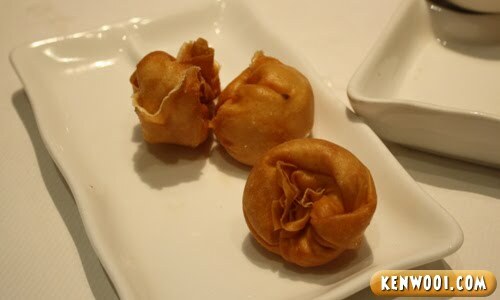 Wu gok – Fried taro dumplings. 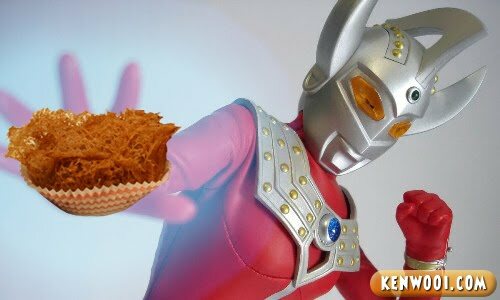 You know what – “Taro” reminds me of Ultraman Taro! Maybe in one of the series, the mighty Ultraman Taro “teeeetttttt!” the monsters with his Taro Dumplings! 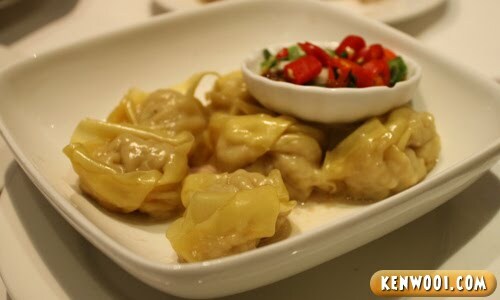 And yeah, siew mai – Traditional Chinese dumplings. 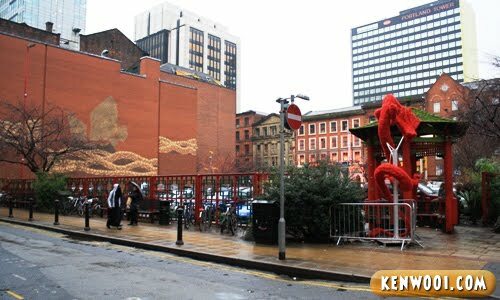 On an unrelated note – I think the China Town in Manchester is too Chinese! 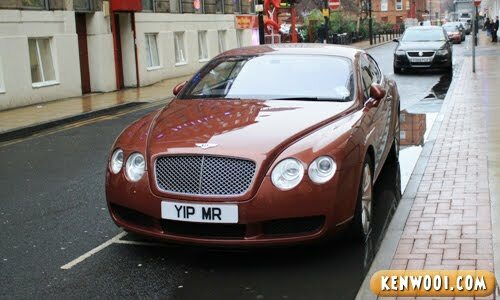 …for his car’s number plate! Dublin, the Home of Guinness! Haha… the car plate really cute. How you order with Chinese Menu since you dun read? although Ipoh Fuh San is ‘abit’ crowded,but it tastes good!hahaa…. To bad I cannot eat it. Got pork . they look alike as dim sum here. 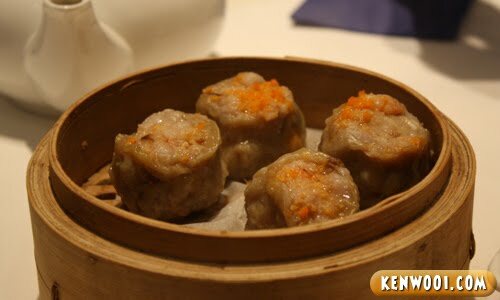 the siew mai looks so dull :(( I thought it should be yellow skin with orange red duck eggs on top. *the city itself looks so astounding . lmao at the ultramen part. swt sial! anyway, it looks delicious from he photos. but which better? UK’s or Malaysia’s? Looks yummy too .. u didnt mention the price.. :) must be a heavy sum for the dimsums..
Ultraman Taro with taro dumplings? Haha!! the char siew pao and har gao nice or not? yummmyyy supperrr timeee! 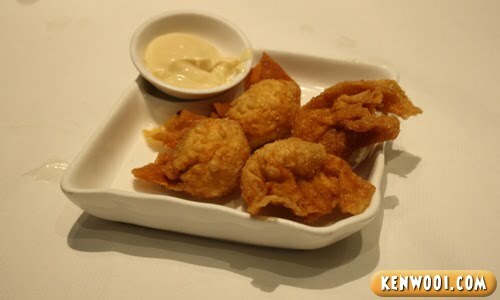 Salad Fried Prawn Wanton (Halal) is my favourite also! Rangup, isi sedap… pergh tak cukup 4 jer! nice… but the price.. erk..
have bring me for the dimsum if i have chance to go uk someday later..
make sure it is nice..
Wowweee…I luv dim sum. Nice..especially Wu Gok…never seen in KL. Wuish name plat on car hahahahah oh man. If you piss someone off, they know which is your car lulz. *faints …One person eating there can feed the whole family here!!! ‘Shangchester’? lol. The place is too Chinese that is why need to add some Japanese ‘flavor’?. 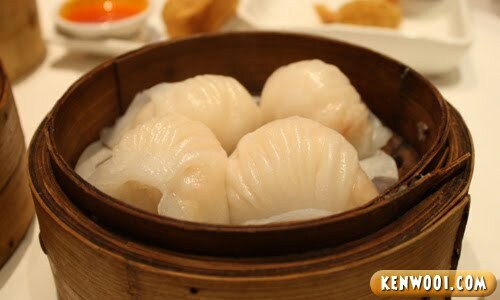 Oh nice pixs of the dimsum love har gao. We have a Taman Connaught in KL. wahh like the plate number! 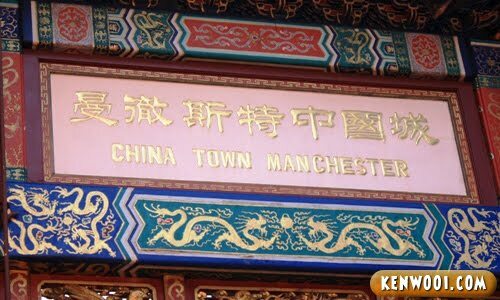 is that machester china town same like petaling street at kl and roadwalk at penang? 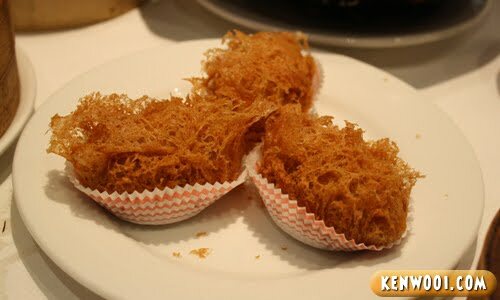 that final pic was so cool..blackmel mr oso can i think…hehe..
Yummy Dimsum…not to forget the car looks very nice. eh, really ah, his car’s numb plate like that??? Their plate is so cool..
Is there any Malay restaurant there??? awwmeeGOD!! dimsum!! delicious!! its mouth watering! Aim higher man…get this special number plate “WOOI TANSRI” :p haha. the food looks tasty, they are not halal aren’t they but still the presentation is nice. and that CAR… owh… SO GORGEOUS! wow! jalan2 cari makan @ Chinatown Manchester! syok nye. Yummy chinese food, this Iban girl loves it so much..yumyum. Hello there! Gosh the good pictures are making me so hungry!! banyaknyer makanan.. brape orang makan tu? haha.. YIP MR.. how did you order anyways..
wuahahhaa… the food looks really really good… damn. wow!! amazing!! hehe i mean that car!!! btw, whatever it is.. have a nice day!! in Manchester! Oh, wow, the dim sum looks amazing! Now I want some. Drat! Gotta drive back to Penang..
hilarious – the number plate!! 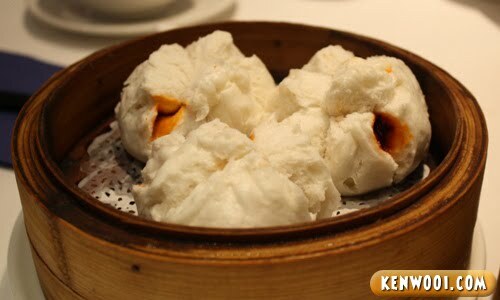 did u try dim sum in london royal china? me love the dim sum there….. So admire u la~ I wan go oversea too! u make me hungry in the middle of the night..
except singapore when i was like.. 5.. Zz..
custard bun… is that a chinese dish? hahaha..the picture with the ultraman is so cute!go ultraman! The car plate is cute. Didn’t you stop by Old Trafford while in Manchester? 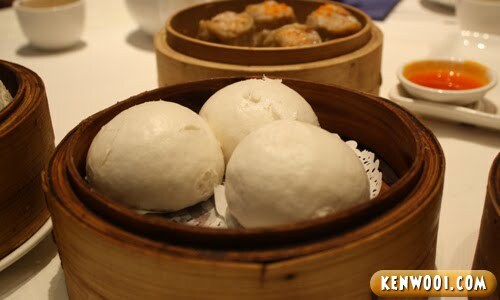 Wow the dimsum looks delicious. Wow…the dim sum must be yummylicious. ALways love dim sum but didnt know Ultraman also love it. Try ‘Tai Wu’ ! It’s next to McD’s in Manchester, near St. Peter’s Square..between 12-4pm there’s 30% off as well..cheap prices aside, the food is pretty good! I am English living in Malaysia and moving back to the UK. Dim Sum is one of the many things I won’t be able to live without so I’m here looking for decent restaurants I can go to, so to read a Malaysian reviewing a UK restaurant is great. I will take your advice and head for here, but you’re right the UK is super expensive, I was amazed at how cheap things are here!